After its establishment by a developer Satoshi Nakamoto in 2009, Bitcoin was birthed to inject fresh ideas into the financial industry and it has largely achieved success in that regard, as part of its creative plan was to distort the restriction that was operated in the financial and political management of traditional legal tender. Irrespective of Bitcoins volatility, many individuals and potential investors are still not knowledgeable about how Bitcoin works, how to calculate the peak periods for investments and importantly how to begin by buying, selling, trading, using, mining and investing. It has become evident from the lack of knowledge of Bitcoins that an increasing rate of between twelve to one hundred people give different views of what Bitcoin is about. 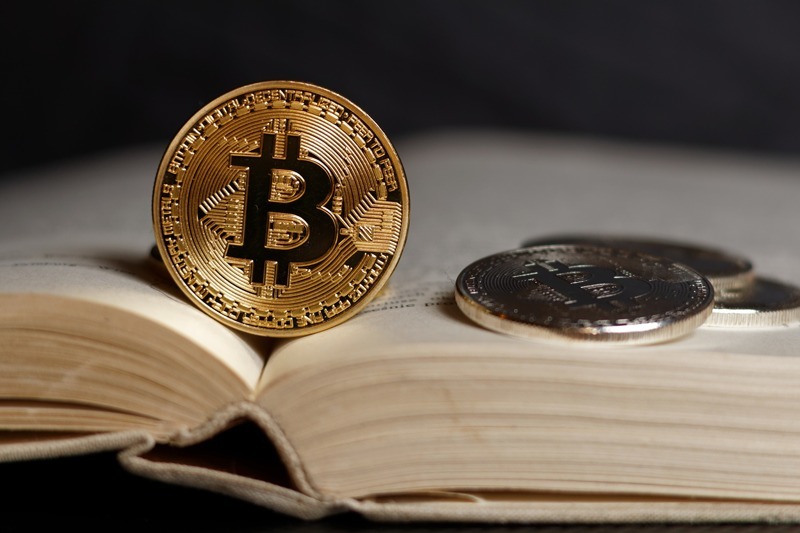 Since inception Bitcoin remains the leading cryptocurrency, hence the intention of this piece is to create an awareness by listing and examining ten most important books to learn more about what Bitcoins is all about. This highly informative book by Andrew K Courey is recommended for beginners of Bitcoin who have no knowledge about the cryptocurrency. It’s well written and gives newbies the desired foundation in Bitcoin. Aside from gaining an in-depth knowledge about Bitcoin, this masterpiece also opens beginners up into ICO, blockchain technology and other cryptocurrencies. The first part of this book introduces beginners into Bitcoin, explains the history of Bitcoins emergence. In consequent chapters of this book, beginners are introduced into Bitcoin hacks, Bitcoin mining and Bitcoin wallets for investment purposes. Here’s another Bitcoin book was written by Prypto for Bitcoin beginners and cryptocurrency. Just like the name of the book implies, it’s strictly for everyone without knowledge in Bitcoin. Due to various information about Bitcoin on the internet, it’s essential to filter out the truth from every information. The simplicity of this book presents to new Bitcoin users include learning the usage of Bitcoin peer-to-peer technology without any interference from a central authority, management of transactions, buying and selling Bitcoins. The four main positives Bitcoin beginners learn from this book is understanding the advantages and disadvantages of the Bitcoin market, protecting yourself from theft and fraud, setting up a Bitcoin wallet and how to begin trading Bitcoin. Best described, this book is likened to a mind map. Aside from the teachings on the basics of Bitcoin, it goes further with other topics you might be willing to know. This book written by Christian Newman, helps new users lay a solid foundation in Bitcoins. Which include the requirements for investment, ways to trade Bitcoin and strike gold. This book also provides a step by step guide for users. Some investors in Bitcoin have cited it as being written in a simple way, and they derived immense benefits after consuming the letters in this book. This book gives an insight into how the founder of Bitcoin Satoshi Nakamoto created a new financial dimension with the cryptocurrency since its emergence in 2008. It talks about Bitcoins emergence, the creation of its magic, the embracing of cryptocurrency by the world, countries who have moved their attention from traditional currency to cryptocurrency and their reasons. The difference of this book from the others is that aside from its extensive talk on Bitcoin, it explains the influence Bitcoin has had on all other currency systems across the world. Like the books mentioned above, this book by Ikuya Takashima is for beginners and not experts in Bitcoin. This next book by Brian Kelly gives a detailed insight into Bitcoin, its concentration is more on the motivators for insecure speculation of Bitcoin price, how the innovation of blockchain and Bitcoin will erase the involvement of a middleman in the financial sector. The book is also easy to grasp for beginners. This book is centred on how Bitcoin and cryptocurrency are contesting the financial space across the world. It talks about the capabilities of Bitcoin citing the story of Afghan women earning money through the internet, also giving a detailed history of how cryptocurrency emerged, its major players, and the present situation of the industry. Compiled by Paul Champagne, this next book includes the total writings of Bitcoin inventor, Satoshi Nakamoto The most exciting aspect of this book is that it paints a picture to the reader of Bitcoins emergence and growth. This book is a good way towards content created originally; it offers readers an avenue to consume original material and experience it as though the reader is present. Written by Benjamin Guttmann, this next great read provides a compilation of sound instructive pieces though it differs from others. The author creatively provides insights on Bitcoin as well as other articles thoroughly constructed by experts in the industry like Vitalik Buterin. The Bitcoin Bible is a great piece created off a number of contribution from stakeholders in the Bitcoin space. This book is written by Conrad Barski and Chris Wilmer, the duo did well by comparing Bitcoin concepts with things people presently know as a way to bridge the gap for people still experiencing difficulties in understanding what Bitcoin and the blockchain are all about. This book showcases a good beginner’s text into the discussion of Bitcoin; it deploys the use of comedy as a visual guide to shed more light on Bitcoin. Compared to others, this piece isn’t as technically detailed, but it provides a sound directive and comic reading which will guide newbies to understanding the management of cryptocurrencies easily. Written by Jose Pagliery, this book gives an insight into Bitcoin and reveals to a great deal why Bitcoin is exciting and the odd stories that have been tarnishing its image. It doesn’t acknowledge blockchain technology like others, but it offers exciting ideas on the possible effects of Bitcoin as a global currency.